This entry was posted on April 9, 2019 by Amberley Publishing. 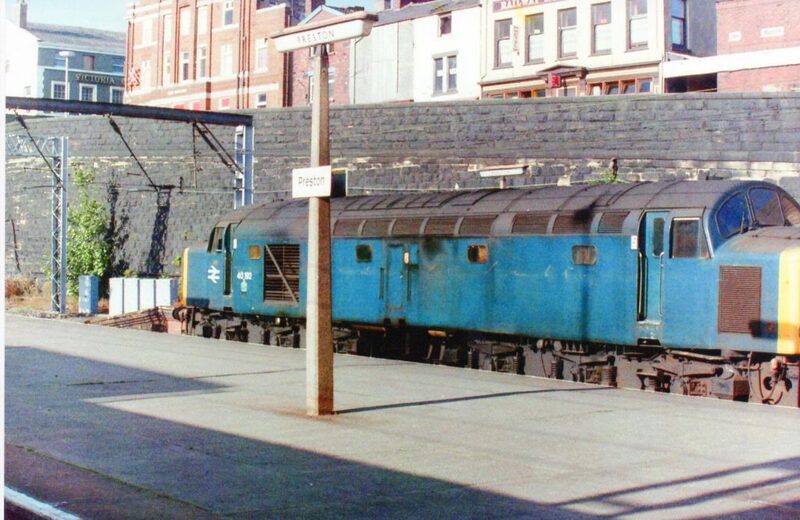 My latest book 'Now That's What I Call Preston' covers the period from the dawn of the 1960s to the dawn of 1990, a time that helped to shape the Preston of today. 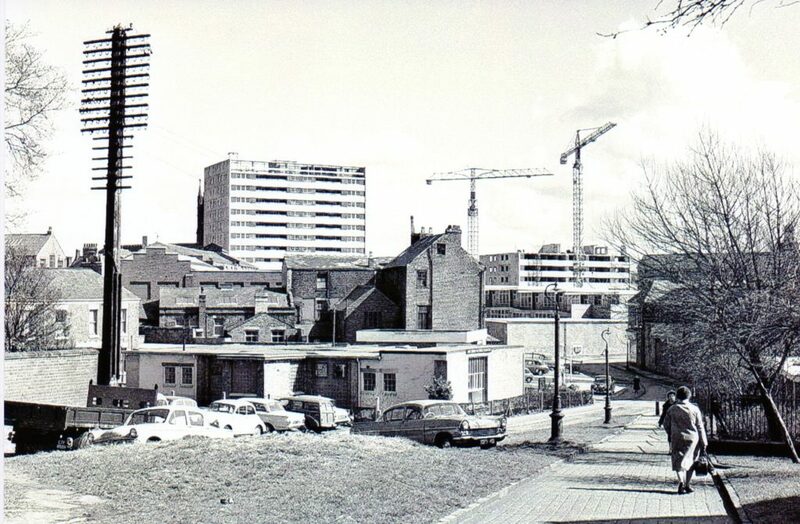 It was a period that began in the midst of redevelopment with slum clearance and home building well underway. Social attitudes were changing and great strides were being taken in industry, commerce, education, and the retail trade. It is book of pictures and paragraphs reflecting life in an ever growing town enabling the reader to cherish the memories and moments of those decades. To some this nostalgic journey might begin with a recollection of a stroll down Stoneygate as they built high rise apartments upon Avenham, or when the bulldozers moved in to finally demolish the old Town Hall, or perhaps when your mum took you to town to buy vegetables on the covered market, or to visit the butchers' shops on a busy, bustling Orchard Street. Others might clearly remember those rainy days on the old Ribble Bus station with its leaky corrugated roof, or recall the opening days of the new Central Bus Station on Tithebarn Street that became an award winning monument to Brutalist architecture. Whilst for some the cherished moments might have been on the dance floor of the Top Rank, or the Piper night club. 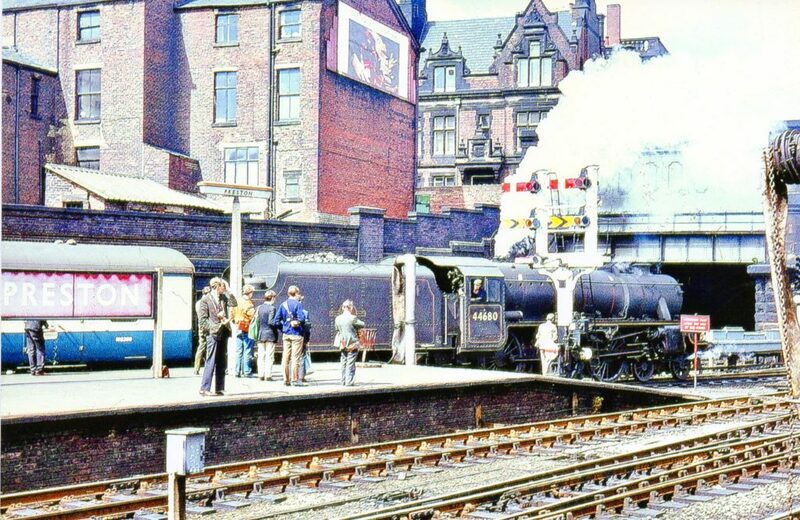 Others may yearn for the days of the steam engines when a smokey, grimy scene greeted you on Preston railway station where trainspotters gathered during school holidays. It is true to say that when 1960 dawned it was a time for transformation with old buildings bulldozed into oblivion and new structures soon standing tall. The Victorian Town Hall, the old Ribble bus station, an old church or two, old ale houses, old cinemas and theatres, many a corner shop and endless rows of cobbled streets being swept away in the name of progress. Words of the planners talking of high rise apartment, office blocks and sprawling shopping centres filled the air, and then they became a reality. A period when traffic free zones, ring roads and motorways were planned and came to fruition. Whilst the transportation of people and goods came on in leaps and bounds on road and rail. 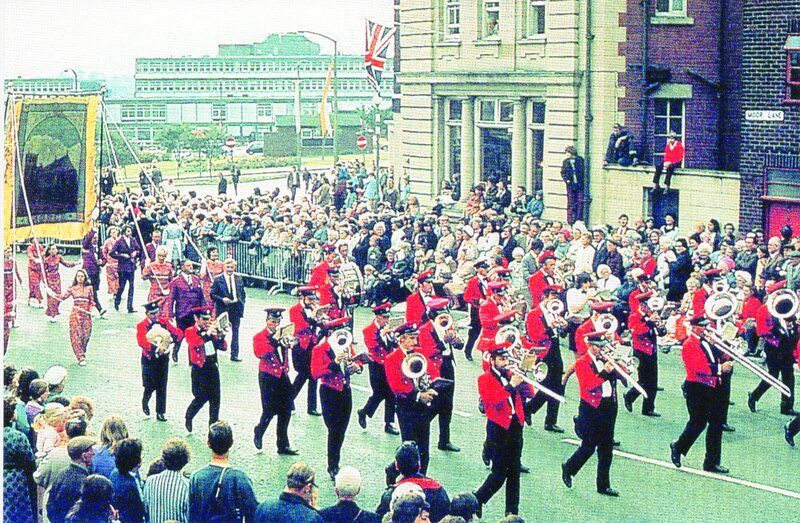 Throughout the 'swinging sixties' Preston was striving towards a glorious Guild celebration that would reflect the attitude of the positive, proud people of Preston. That event kept the ancient traditions alive with pomp, pageantry and processions and provided a fair share of fun and frolics. Many of us proud to parade the streets in procession, or to just stand and stare. The increase in leisure time made the pursuit of pleasure more intense. For some the discotheque took preference over the dance hall and public houses could no longer provide just beer and skittles. Some old and familiar places of entertainment were disappearing, whilst other emerged to fill the void. The sporting scene was changing too, with many inclined to participate rather than merely spectate, and consequently the leisure centre and running track became fashionable. The old cold outdoor baths replaced by heated indoor swimming pools and the plimsolls making way for running shoes. Taking a peep at the endeavours of the Eighties gives us a chance to recall the transport and the traffic, the markets and their merchandise, the carnivals and the concerts, the road runners and Red Rose radio, cinemas and bingo halls, public houses and pub lunches, and the people on our streets. All helping to create a patchwork quilt of pictorial memories within the pages of the book. Perhaps you lived on the umpteenth floor of Moor Lane flats loving the central heating and the panoramic views, or were delighted when you could catch the high speed train to London; or maybe your girlfriend set the trend wearing a mini skirt or maxi coat, or perhaps your flared trousers and moustache were the height of fashion. Did you rush to Bradys to get the latest cassette tapes feeling it was the height of technology, or maybe you spent your working days in one of the many engineering workshops, or found yourself a job in one of the supermarkets that were emerging fast, or perhaps you studied at Preston's very own Polytechnic. You maybe thought that the E H Booths cafe was too posh for you with its linen cloths and got your refreshments from a Wimpey Bar, or discovered that the best burgers were at the real McCoy on Church Street and that a bag of chips wrapped in old newspapers was your idea of a tasty treat after a couple of pints of beer. Yes, those were the days when the Lancashire Evening Post prospered on Friargate and queues would form for the hot off the press Final Edition, or on Saturday you might have eagerly waited for the 'Last Football' to appear with the final scores and match reports, barely an hour after the final whistle had blown. How proud were so many Preston folk when North End journeyed to Wembley for an FA Cup Final, and not so proud as they later plunged the depth of the Football League. Whilst others may have lingering memories of playing on the plastic pitch that replaced the grass as PNE strived to survive, or of playing football on Preston parks in ankle deep mud. In conclusion, reflecting on Preston during those thirty years, it was a place populated with people full of pride who left a rich legacy for future generations. A place that learnt lessons from the past to make a brighter future. A place that expanded rapidly yet still retained its parks and places of pleasure, a place that embraced the evolution in industry, retail and education ensuring employment for many. Its people held on to great traditions and saw Preston prosper, remain rightly proud and cherished by its inhabitants young and old alike. 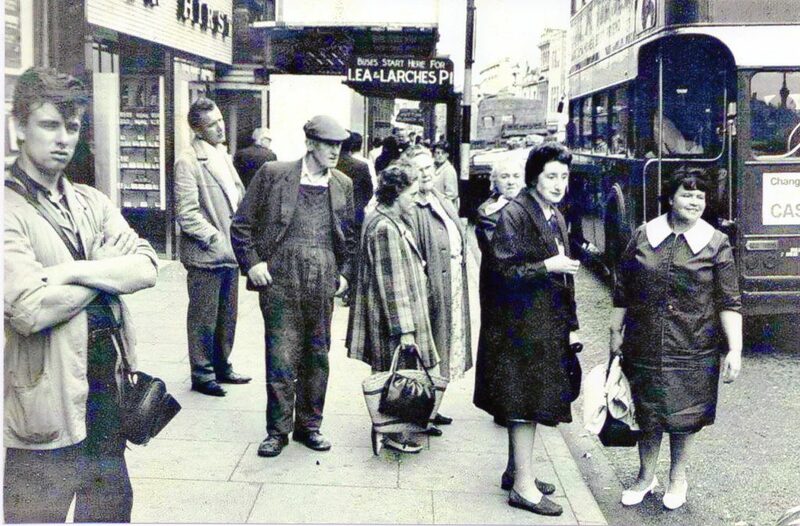 They say every picture tells a story, if that's the case I hope that along with the script it gives a reflection of life not so long ago and gives a glimpse at the Preston of yesteryear for the generations that followed. 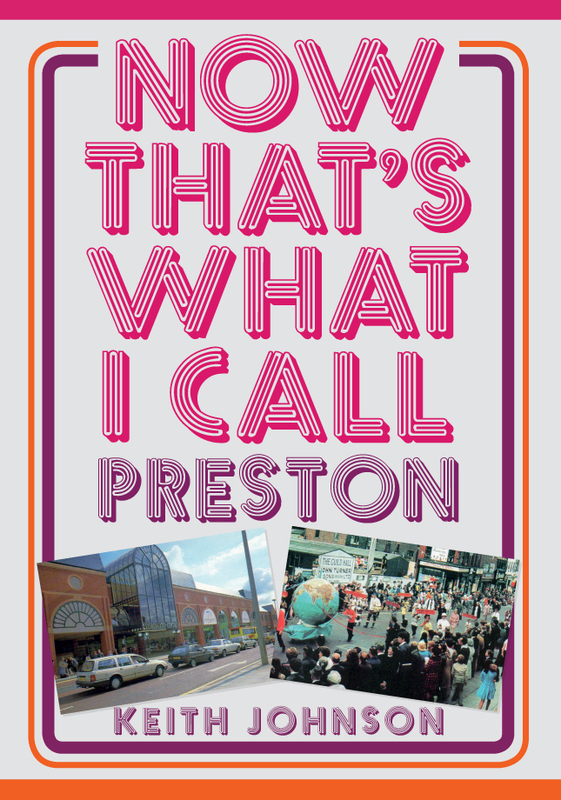 Keith Johnson's new book Now That's What I Call Preston is available for purchase now.